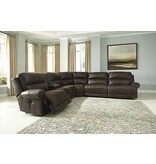 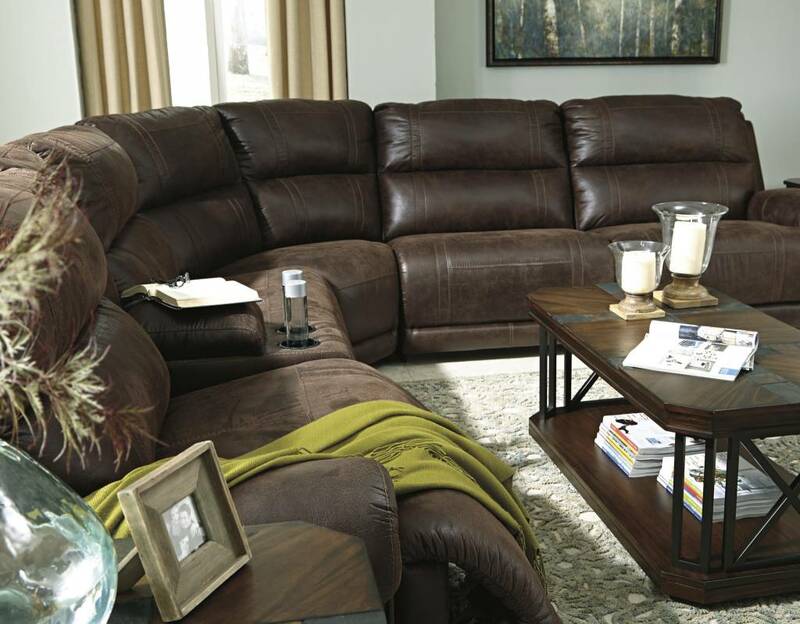 Unwind in spacious, encompassing comfort with this sophisticated six-piece sectional, including a left-side wall power recliner, console unit, armless recliner, corner wedge, armless chair and right-side wall power recliner. 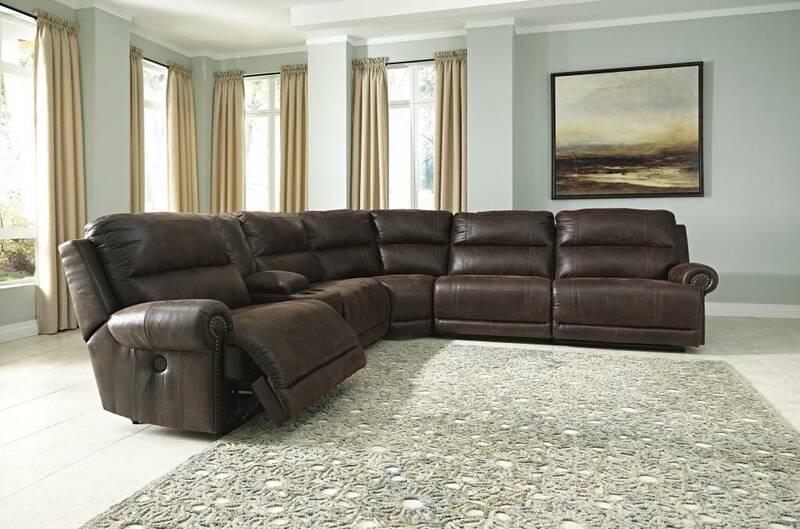 The comfy design features high-density foam cushioning, plush pub backs, gently rolled arms and smooth power recline mechanisms for full-body relaxation. 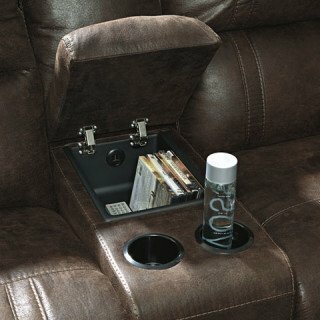 The built-in console makes this the perfect spot for game day, movie night or any other home entertainment event. 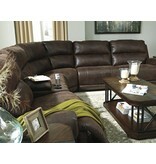 You'll create warm appeal in any living space with the rich espresso hue and soft profile.